This project is a voice over mod for Final Fantasy VII, it allows every character whether it be main, minor or NPC to have a voice instead of reading everything! This mod also includes Subtitles to replace the text box so you can enjoy the scene with no unnecessary box's blocking what's going on. Along with this it also includes automatic text that moves on to the next line after the voice file has finished playing. Now you can sit back and enjoy the cut-scenes with no effort at all while watching the scene play seamlessly. Both of the above options are optional and may be turned off at will. This also includes DLPB's Re-Translation text too. If you would like to be a part of this mod auditions are available and easy to do! The best option is to head to the link below at Casting Call and throw up a sample of your voice. Me or someone on the team will get to hopefully within the hour. If you don't like the idea of your voice being uploaded for the world to see at first then feel free to email me directly with a clip and i'll do my very best to place you as best i can. You can pretty much guarantee a roll as there is an awful lot of NPC's that need voices. Will be uploaded to show everyone the progress and hopefully make you want to join us! I personally cannot think of ever playing the original game again without the revised text made by Reunion's "Beacause" by DPLB (http://forums.qhimm.com/index.php?topic=14914.msg209227#msg209227) so my suggestion is to make it fully compatible with it. I know this is tough because it means that either Reunon's users or vanilla game users will be cut out but I just thought I'd make you guys aware. I actually do have this included. It comes with the complete re-translation. Completely compatible with all mods as long as they don't alter the flevel. and text that moves from one to another automatically. R05b is pretty decent and any changes from now won't be too significant dialogue wise. But they will be grammar wise - and box placement wise. R06 is the finalized version. Maybe best off waiting until then, or at the least using R05b. i'll send you script bit by bit as I finalize it part by part. Thanks to the both of you, guys. For anyone else who reads this too, The video will be out today for an in game demo! Project has started but i'm trying to keep at least 1 video ahead at all times. If anyone has an idea that would improve what you see please let me know and i'll see if i can do it. And it would be great if for some reason you dislike it to let me know why too. New in-game trailer now out! I'm really in need of a Jessie and lot's of NPC's. EDIT: My 100th post was about memes. 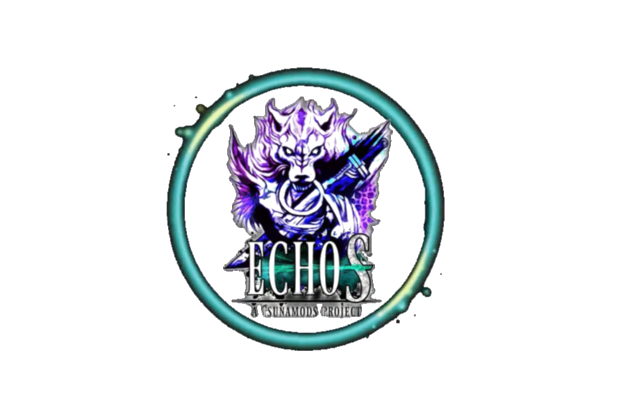 An extra add-on for Echo-S is the dialogue choices. You now think a variation of the option before saying it out loud. Because saying out loud repeatedly when choosing just did not look right. Show your support by hitting that like button for me! The more we get the faster the actors will work knowing how many people out there are depending on them! I would love to audition but my interested role is already filled and told I make a great voice for Sephiroth. Any chance after the project you show what you did so more people can do it for the character they want? It would be interesting for combinations and that way more people can be pleased. If not I understand but I hope you can take that into consideration. I can do yeah, i'll make a tutorial after for it. It's not too difficult to do but it does take forever. I would love to but at this point in time it be really hard to. A video of the demo is also now available. I hope everyone is enjoying their holidays, so i added a festive twist to all new Jessie mod made by Grimmy and meshed it with Echo-S. I hope everyone enjoys it!! Great effort guys! Keep it up!